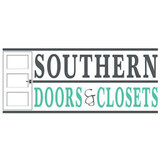 Carolina Doors and Closets, located in Greenville SC. We have developed the most convenient and affordable door systems to beautify, organize, and add value to your most prized possession, your home. At Heritage Hardware our goal is to sell top quality hardware at affordable prices. Offering everything from door knobs to kick plates, we have the product you need for you home. We strive to be a company that provides excellent customer service and care for our customers. We will be adding new and exciting products as time passes. If you are looking for someone in Gantt, SC to help with your automotive, commercial, residential or emergency locksmith services, give us a call at Gantt Locksmith Co. We offer all of these services at the most reasonable prices possible. You always get what you pay for when you rely on our locksmiths for your service needs. Making sure that our customer’s are happy with our services is our top priority. You’re able to increase the quality and level of your home and business security simply by contacting our locksmiths in Gantt. When you have a problem that calls for an automotive locksmith, do not hesitate to contact our Gantt locksmiths at Gantt Locksmith Co. We have a team of the most committed and hard working locksmiths on staff at Gant Locksmith. Allow us to help you with your service needs. With our 24-hour services, we’re able to provide you with the most efficient services possible. Let us show you why so many continue to turn to us when they experience a lock or key emergency. We respond quickly to your service requests, no matter the time of the day or night. You deserve the best quality of services possible and you are sure to find it when you contact our professional locksmiths at Gant Locksmith Co. We only employ the most qualified locksmiths in the area to service your locksmith service needs. 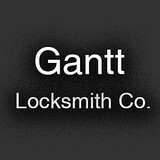 When you want quality services, don’t settle, contact us at Gant Locksmith Co. We offer guaranteed satisfaction. People everywhere need to lock up their property – even in Simpsonville, South Carolina. Simpsonville Mobile Locksmith is here to help locals who are looking to obtain the absolute best that is available in the world of locks and keys. Our experts have acquired the appropriate certification through vigorous training, and of course they are insured to do their job. You might be interested in finding out more about high security locks, access control, master keys, intercom systems, or even combination changing. We can provide you with all of the information that you need for any service, whether it be lockout help, deadbolts installation or something else. To benefit from our automotive, residential and commercial solutions, give us a call. Keep in mind that we never settle when it comes to providing the best for our customers, so we work with reputable brands like Yale, Ilco, Medeco and Arrow. 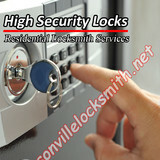 For peace of mind, choose Simpsonville Mobile Locksmith. We will ensure that you have everything that you need to feel safe. Give us a call so that we can give you a free price estimate for the job that you need. We are looking forward to working for you. Call now for your consultation! Do you have a screened porch or other outdoor area that doesn’t get as much use as you’d like? Now there is an affordable solution! mySunroom introduces the innovative Eze-Breeze™ porch enclosure system by PGT®. What kind of services do Pendleton door dealers provide? Door dealers are responsible for a variety of services, including door installation, replacement, door repair and custom door design. If you need a new door, Pendleton, SC door dealers will help you determine what kind you need, as well as shape, color, size and more. From barn doors to French doors to front doors, these professionals can help you choose, install and maintain your door investments. Wood doors are beautiful, versatile and tend to be the most popular choice for both interior and exterior doors; they are easy to custom build, and include oak, cherry, walnut, mahogany, maple, fir and pine. Some standard wood doors have MDF cores wrapped in wood veneers, which minimizes the chances of warping as real wood expands when wet and contracts when dry. If your heart is set on a wood door but you think the Pendleton, SC climate might cause it to warp, talk to your door professional about a furniture-grade veneered door. Aluminum doors have an insulated core and come in a variety of colors and finishes. With a baked-on enamel finish, they won’t rust or need repainting, and many come with a 20-year warranty. Next to wood they are the most expensive and have to be custom-made. A Pendleton, SC door dealer can help you find a reputable aluminum door manufacturer. 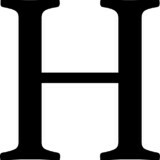 Find door dealers and installers in Pendleton, SC on Houzz. 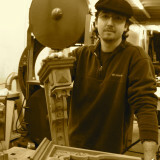 Look in the Professionals section of our website and search for Pendleton, SC door dealers and installers. Read reviews, look at project photos and see how a pro can help with your home improvement project.